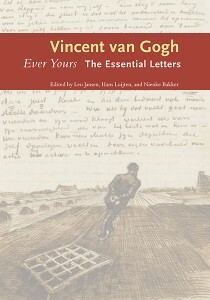 Before his death in July 1890, Vincent van Gogh wrote numerous letters to his fellow artists, family members and friends – 820 of these compelling pieces of writing still exist today and 265 of them are included in Ever Yours: The Essential Letters published in late 2014. 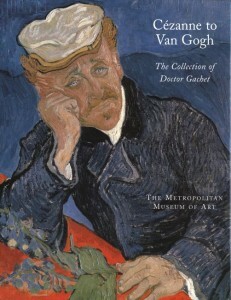 These letters provide an unparalleled insight into the mind of one of the most celebrated and popular artists of all time. 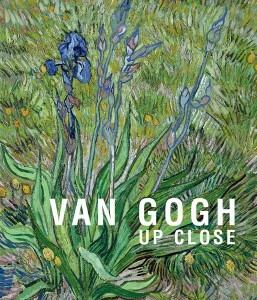 We can begin to understand the world that Van Gogh moved and painted in, his love for art and literature and his yearning to be recognised for the artistic genius that he was. To celebrate this publication we are posting a series of letters from Ever Yours, each one shared to coincide with the date on which it was originally written. 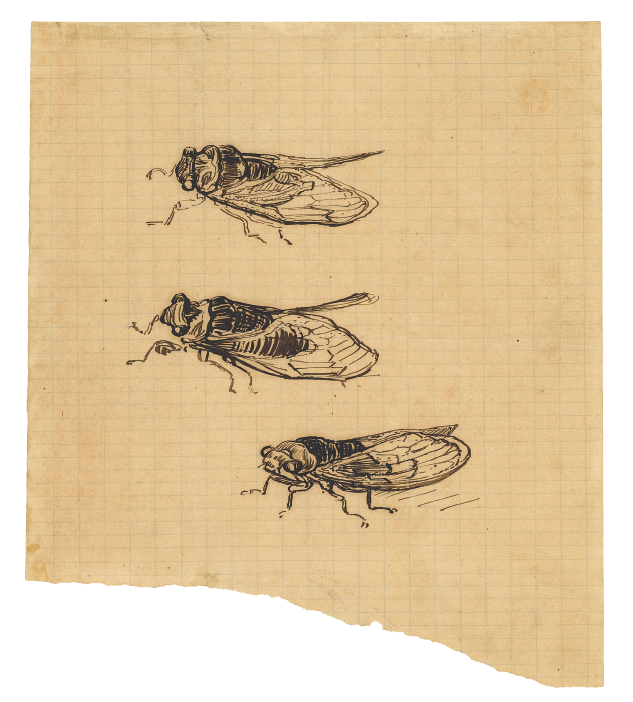 Today’s excerpt comes from a letter written to Van Gogh’s brother Theo on 14/15 July 1889. It includes references to the painter’s friendship with Gauguin, as well as advice and reassurance to his brother on impending fatherhood. 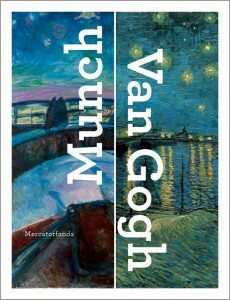 Read more extracts from Van Gogh’s letters: 3 June 1890, 25 March 1888, 19 April 1888, September 1888. If I’m writing to you again today it’s because I’m enclosing a few words that I’ve written to our friend Gauguin, feeling sufficient calm return to me these last few days for my letter not to be absolutely absurd, it seemed to me. Besides, there’s no proof that by over-refining one’s scruples of respect or feeling one thereby gains respectfulness or good sense. That being so, it does me good to talk with the pals again, even if at a distance. And you – my dear fellow – how are things, and so write me a few words one of these days – for I can imagine that the emotions which must move the forthcoming father of a family, emotions of which our good father so loved to speak, must be great and of sterling worth in you, as in him, but for the moment are almost impossible for you to express in the rather incoherent mixture of the petty vexations of Paris. Realities of this sort must anyway be like a good gust of the mistral, not very soothing, but health-giving. As for me, it gives me very great pleasure I can assure you, and will contribute greatly to bringing me out of my moral fatigue and perhaps from my listlessness. 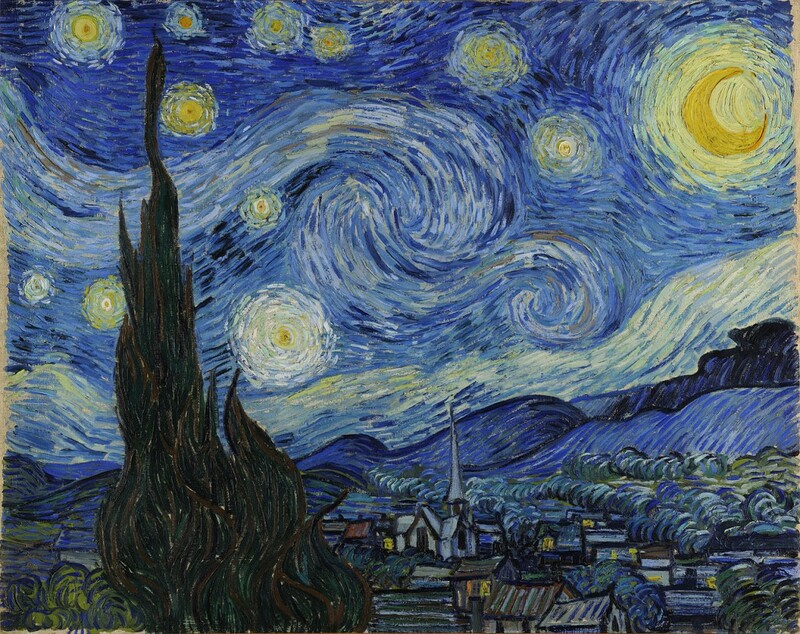 The Starry Night, Vincent van Gogh, June 1889, Museum of Modern Art, New York. Anyway, in the meantime I can do nothing but fiddle with my paintings a little. I have one on the go of a moonrise over the same field as the croquis in the Gauguin letter, but in which stacks replace the wheat. It’s dull ochre-yellow and violet. Anyway, you’ll see in a while from now. I also have a new one with ivy on the go. Above all, dear fellow, I beg of you, don’t fret or worry or be melancholy on my account, the idea that you would do so, certainly in this necessary and salutary quarantine, would have little justification when we need a slow and patient recovery. If we manage to grasp that, we spare our forces for this winter. I imagine that winter must be quite dismal here, anyway will however have to try and occupy myself. I often imagine that I could retouch a lot of last year’s studies from Arles this winter. Thus, having kept back these past few days a large study of an orchard which was very difficult (it’s the same orchard of which you’ll find a variation in the consignment, but quite a vague one), I’ve set to reworking it from memory, and have found a way better to express the harmony of the tones. Tell me, have you received any drawings from me? I sent you some once, by parcel post, half a dozen, and then later ten or so. If by chance you haven’t received them, they must have been at the railway station for days and weeks. The doctor was telling me about Monticelli, that he had always considered him eccentric, but as for mad, he had only been a little that way towards the end. Considering all the miseries of M’s last years, is it any surprise that he bowed beneath a weight that was too heavy, and is one right in trying to deduce from that that he failed in his work, artistically speaking? I dare to believe not. 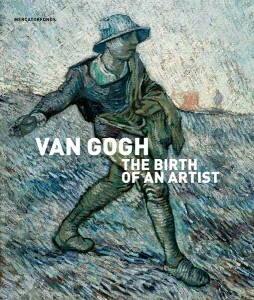 There was some very logical calculation about him, and an originality as a painter, so it remains regrettable that one wasn’t able to sustain it so as to make its blossoming more complete. I enclose a croquis of the cicadas from here. Besides, it’s reassuring that Voltaire, for example, left us free to believe not absolutely all of what we imagine. Thus while sharing your wife’s concerns about your health I’m not going so far as to believe what momentarily I was imagining, that worries about me were the cause of your relatively rather long silence in respect of me, although this is so well explained when one thinks of how preoccupying a pregnancy must necessarily be. But it’s very good and it’s the path where everyone walks in life. More soon, and good handshake to you and to Jo. 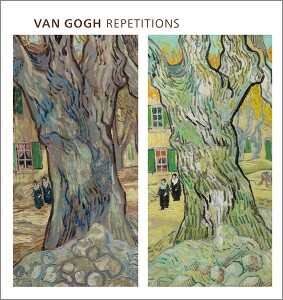 Ever Yours: The Essential Letters of Vincent van Gogh is available from Yale.